We have carried out extensive market research which has enabled us to devise plans which will mean that the completed OpenSpace will be sustainable. The exact detail is being left as flexible as possible to ensure that we really do meet the needs when it is opened. The intention is for there to be a four-storey building within the exterior shell which will be as accessible as possible. For example there will be a lift to all floors. Entry will be from St Nicholas Street (lowest level) or from the Kirk yard (one level up). 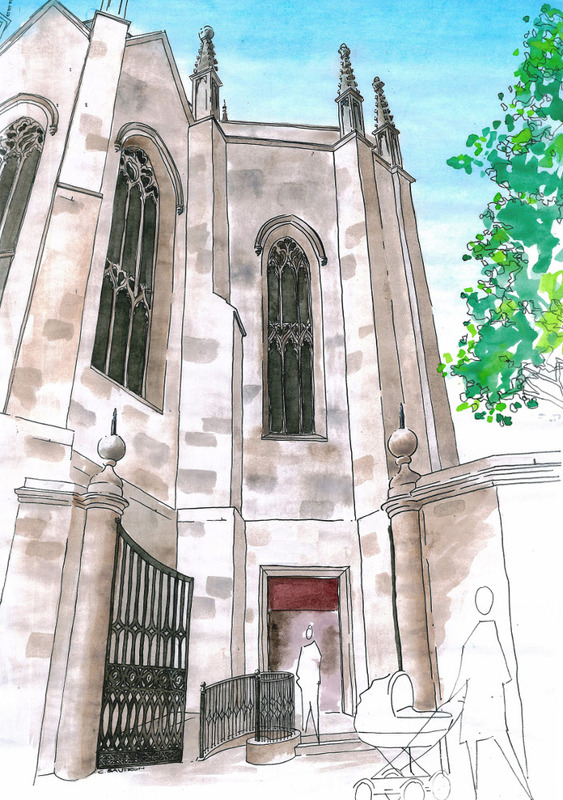 St Mary’s Chapel, which is at street level at the top of Correction Wynd, will be restored and made into a quiet area. Some of the lower ground floor, at the same level as St Mary’s Chapel, will be made into a ‘heritage centre’ to celebrate the city of Aberdeen in general and this particular location in particular. It will display some of the features uncovered in the archaeological dig, including the oldest wall and floor in Aberdeen, together with some of the finds. Other ideas are under discussion to further enhance this area – and indeed the whole building. As we move closer to starting the build, these ideas will be crystallised and will be shared on this website.